The title can take several significations. 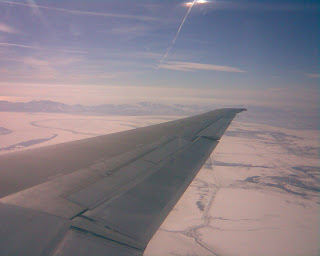 The most obvious one is my trip to Salt Lake City to attend the Omniture Summit. I will be reporting about the event until Friday. First thing: not obvious to go from Quebec city to Salt Lake City... 3 flights with hour long connections: total time, door to door was 13 hours. I knew it would be long, so I came in early to be in shape for Tuesday's opening reception at 7:00pm. Spare time? Not really, I will catch up on client work! The last way I can think of a "summit" is how I feel about what I've been doing since the past few months. I wanted to enjoy the "freedom" of being freelance, I wanted to push the envelope of what I can do, I wanted to learn more & share even more. I have not attained the summit, but I feel I'm actually living trough what is a big personal objective.